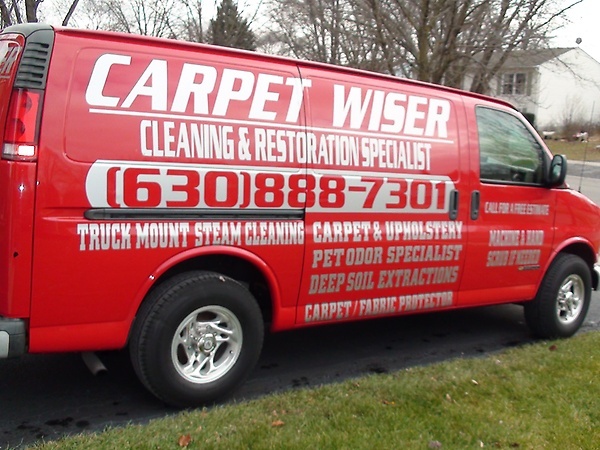 Carpet Wiser Carpet Cleaning offers Chicagoland?s best carpet and upholstery cleaning. Our superior cleaning services do not compromise quality for cost. It?s our goal to provide quality carpet cleaning where service matters. Whether it?s upholstery cleaning, carpet cleaning, water extraction, or deep soil scrubbing, we take our time to provide you the best clean for your money. With our free-estimates you can be assured that you won?t be overcharged for quality work. We drive to your home. Please call for a free estimate.